Ruth Jenkinson stopped eating well after her GP blamed her weight. This happened when she was 13 and her weight was 10st. Look what her diet did to her after the jump, and find out how Ruth’s mother has saved her daughter’s life. This is how Ruth Jankinson looked like before her diet. Ruth was skipping her meals, and in just 18 months her weight dropped down to a life-threatening 4st 13lb. Doctors warned Ruth that her organs could fail at any time, but she still refused to eat. Her mom begged her to start eating, but Ruth would just shout at her that she didn’t have to follow a meal plan. This was when Mrs Jenkinson got an idea how she could save her daughter’s life. 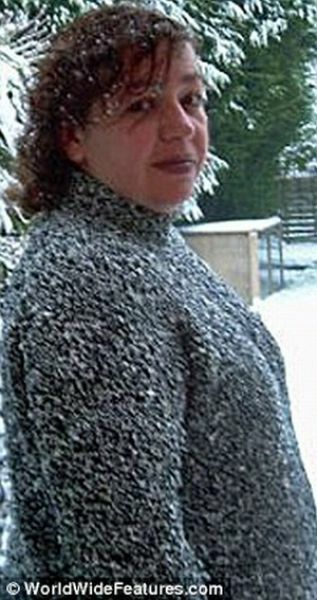 Mrs Jenkinson, 44, who works for a construction company, was 12st 7lb. She decided to join Slimming World to follow a meal plan to lose weight so that her daughter would follow her own meal plan to gain weight. The mother carried on dieting to keep her promise, and slowly her daughter started to put on weight. Ruth Jenkinson and her mother Dolly today, following their successful pact. Ruth now weighs 6st 3lb and her mom weighs 9st 7lb. A general practitioner told her she had a weight problem when she didn't and because of that it nearly killed her. The doctor should be brought up on charges and loose his/her license for such carelessness. Doctors should never tell young girls they need to lose weight unless they are obese. That was a stupid thing for him/her to do. Morons, If the doctor tells you that you need to drink more fluids doesnt mean you have to go home, fill the bath tub and drink it all in one sitting. If the doctor tells you loose weight, he means just that shave off a few pounds by exercising more and eat healthy food, it does NOT mean stop eating. I find the metric system sooo much better! that girl still looks sick, her face is ruined, rotten teeth due purging, weak hair, gaunt face.... eww! she looked so beautiful before this whole mess. A shame!